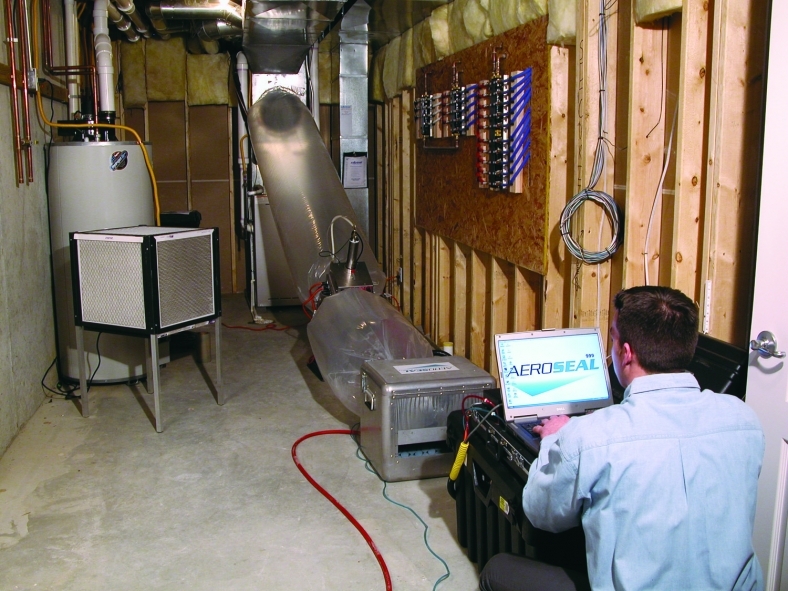 Many residential and commercial buildings leak air like sieves, wasting up to 40% of their heating and cooling energy. The primary reason for this energy loss is gaps and holes that exist in buildings’ air ducts. Getting an airtight seal on every connection can be difficult; even with skillful installation and generous applications of mastic (the putty used to seal joints), leakage still occurs. Therefore, most people resign themselves to losing money and enduring uneven temperatures. Mark Modera, an expert in energy performance at the Lawrence Berkeley National Laboratory (LBNL), however, was convinced there had to be a better way.